Discussion in 'Detailing' started by AMGClub, Feb 15, 2018. Any advice on a good cloth to dry a soaking car after a through wash? I used to Valet cars many moons ago now. But then I always used a Vileda Flunky. Then just a light wipe with a micro fibre towel. Everyone I have recommend these to is still using them. You must rinse in clean water as you dry. A lot of people just ring out and then go back to the car. If you have missed any dirt during your wash you are now spreading this all over our car. So half a bucket of clean water to rinse as you go. Smear free dry car. Nick1456 and optimusprime like this. I just tend to opt for fluffy microfibre drying towels. Don't usually bother with a specific brand as the quality is usually pretty much the same anyway. mercmancdi, m2287 and AMGeed like this. Also if you use a product like Gyeon Wet Coat that you spray on when the car is wet. It will help repel the water and dry even easier, even in this cold weather. Nothing any better than the synthetic leather made ,or sold by Autoglym £9.99 and if you dont like it i will give you the price that you have paid for it . I have used these for 20 years nothing like them .They started of as Minky glass clothes .This was 30 years ago . I found they were so good i purchased 6 of them Then over time i ran out of them , all but the last one .And friend saw me cleaning my car with it after a rain storm . He was then dealing all over the world in this , and that ,said do you have the address .He sent for 20 of them from Sweden the country of origin . Then i had a few of them from him . But after years of looking for them myself and picking up a few that were not the same and did nothing to remove water from the car body. Then one day a visit to Halfords i saw this leather on the Autoglym stand in a box . Took one home . So after so long i have the same item back again . Try one i can only say you wont buy any other after that .The other thing is they last for years .Dont leave them wet let them dry out. The only trouble with a chamois leather is the lack of forgiveness if there's dirt trapped between it and the paintwork. With a microfibre towel, there's a thick pile that should trap what potential dirt there is and minimise it's contact with the car. Don't get me wrong, a chamois dries the car just about but then so does a drying blade and I won't use one on the car. £15 worth of drying towels (usually 3) will leave your car totally dry and you'll have streak free glass too. confusionhunter and Rorywquin like this. chrisk2010 and C43AMG like this. I think I am using what is synthetic leather, its by a brand called ArmorAll. I had it for a few years and I think its now lost its effectiveness so hence looking for an alternativw. Best option is to get yourself a DI vessel and rinse the car with 0ppm water. You can then just let it air dry - with no spots, streaks or water marks and no risk of scratching. clk320x, Abb and Rorywquin like this. Autoglym is the only one . Halfords is the place to pick one up from .,They come in a see through box mine was a square box but they may have changed them now. Buy one , try it, if you dont like, then it i will give you your cash back after you post it to me [i need another ] i have 4 now another wont take any space up./. I do get extra ones because, i dont want to be without one anymore . For me you cant beat Costco's yellow microfibre cloths, about £14 for 30. Oh and Ive been told to NEVER use a chamois leather to dry a car as any trapped dirt scratches your car. None of the expensive car detailers use them. The thing is, synthetic or natural chamois they still pose the same problem of having zero pile to them. They don't trap any dirt but will drag it across the surface of the car. I don't doubt their ability to absorb water, I used a sythentic chamois for a long time before moving to waffle weave and microfibre towels. 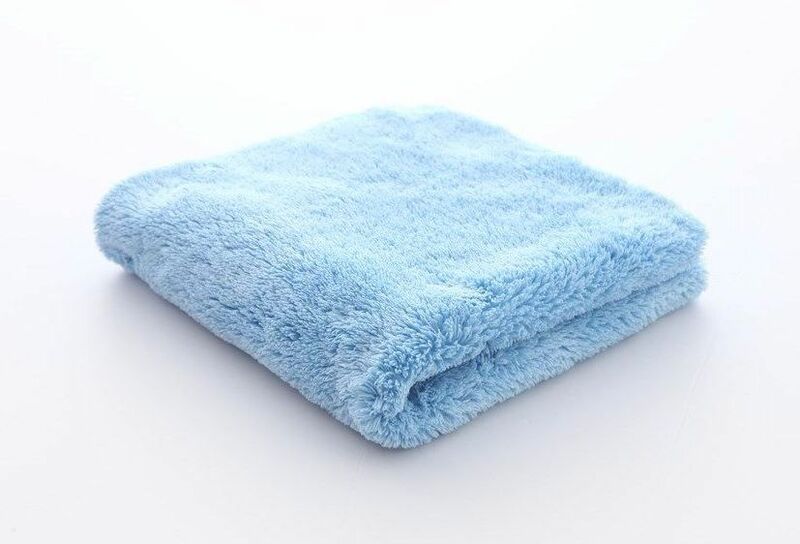 The towels are safer on bodywork as it minimises the risk of scratches. Similar thing to those drying blades you can use. They do a cracking job of getting the water off your car but they will also drag any grit/dirt that may be lurking right across your paintwork. When I say they'll scratch, I don't mean to the scale of a key mark but swirl marks and random minor marks. It's the same reason it's best to avoid washing with a sponge and using a quality wash mitt.